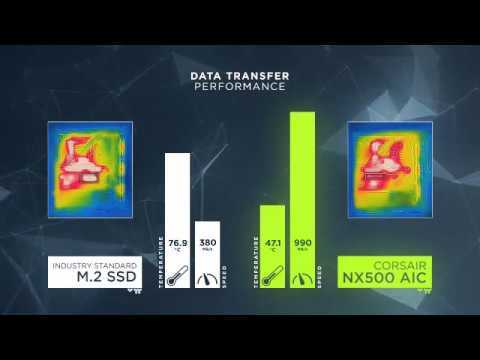 The 400GB Corsair Neutron NX500 is a high-quality Add-in Card (AIC) SDD that delivers incredible performance and is 5x faster than a SATA 3 SSD. The HHHL (half height half length) form factor takes advantage of your motherboards PCIe 3.0 (x4) slots to get previously out of reach sequential and IOPS read and write speeds. This drive in particular has a storage capacity of 400GB, a incredible read speed of up to 3000MB/s and write speeds of up to 2400MB/s which delivers ultra-fast system boot times and less load time. The specially designed High-surface-area heatsink not only looks great in your build, but ensures unthrottled performance and cooler temperatures. 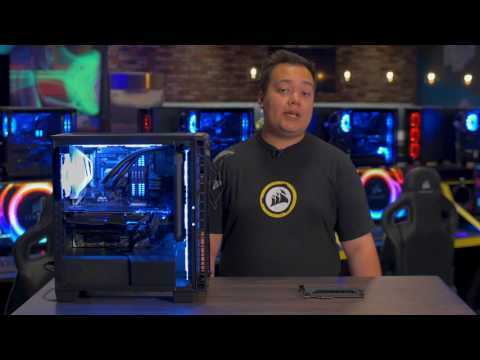 The Neutron NX500 makes sure professional gamers, workstation owners, and content creators get the job done with ease. 400GB Corsair Neutron NX500 AIC SSD, HHHL PCIe 3.0 (x4), NVMe, MLC NAND, 3000MB/s Read, 2400MB/s Write, 300k/270k IOPS is rated 4.5 out of 5 by 2. Rated 4 out of 5 by P007 from Very good NVME drive Used in a server hosting Windows Server 2016 VM’s. The performance is very good in comparison to my usual RAID 5. The speed is constant, no slowing at all. It would be excellent if it was say 8~10% cheaper. Rated 5 out of 5 by vbad1 from wow does exactly what it says on tin , fastest m.2 nvme yet . all the pcie small slots are x1 will it go in a pci e x4 or x16 large slot that the graphics cards go in?